Finding the right breeder is the most challenging yet most important part of finding the new member of your family. 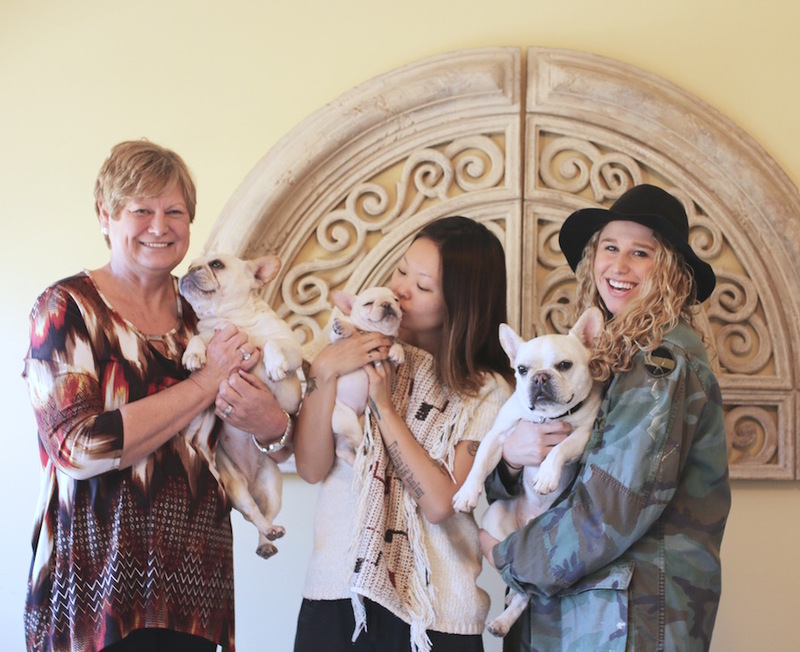 We get so many questions on where we got our french bulldogs and where to begin the process. I got Weston six years ago from Ali’s Sweet Frenchies after doing research for about a month. It was a long journey of searching online (which can be pretty scary) and finally, I got a referral from another breeder (who didn’t have puppies at the time) who told me about Ali. Ali was so patient, answered all my questions + concerns and only wants the best for her frenchies. I knew that when we were ready for our next french bulldog, we would go back to Ali and we did last year for Fira! We took a road trip to Missouri (you can read our dog-friendly roadtrip essentials here) and finally met Ali in person and she was just as sweet as she is on the phone! 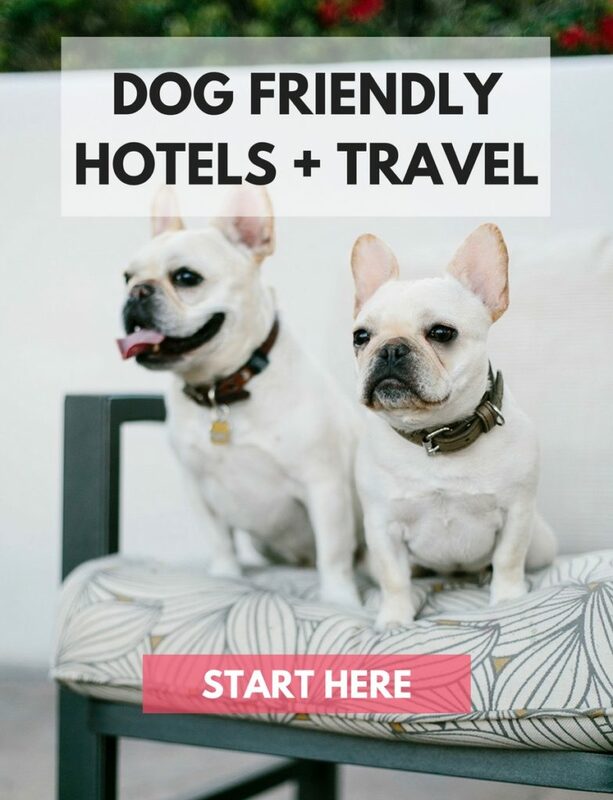 I get so many questions about where Weston + Fira came from, so I knew I had to interview Ali and ask the questions I know most people are curious about when looking for their own french bulldog. How did it ALL start? How did you become a breeder? 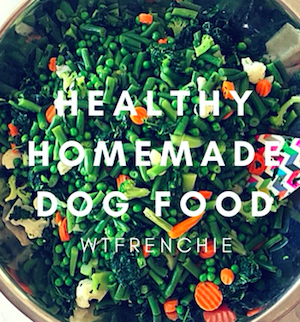 It all started with French Bulldogs over 20 years ago. We had moved my mother in our home due to Alzheimers disease progression. I left my career in medicine to devote my time to be with her. She kept going back in time remembering our little bulldog we had when I was growing up. She kept saying how she wished we still had her. So my search began on find the newest family member for our home. I was looking in the paper and saw french bulldog puppies for sale, so I did several days worth of studying on their personalities. I told my mom we were going on a road trip to see puppies and two hours later we were at the house of a show breeder looking at his puppies! I don’t know who was more excited about the puppies–my mother or myself. I chose a cream male and mom was happy but a little hesitant. I notice she had became very quiet. I said “ Mom what is wrong?” “Oh nothing” was her reply. We were getting in the car and I saw a tear run down her face and I asked, “Okay mom, what is it?” She said “I really wanted that girl!” So that was it, we got TWO frenchies that day! I was never planning on breeding them at that time. It wasn’t in the game plan! Mom was able to stay with us over a year before things progressed to where she had to go to a more secure living facility. That is when breeding our frenchies came into focus. I thought, well I have these beautiful frenchies out of different litters with excellent bloodlines and thought this would be something I would enjoy doing. That is how Ali’s Sweet Frenchies came to be. Frenchies are different than any dog we had ever had. We had several dogs in the years my husband and I had been married but frenchies were unique! Funny, outgoing personalities, great around kids and older people, never met a stranger, clowns and they could really have a calming effect when my mother was stressed out. They are the perfect dog. What is your process after the litter is born? I went to several seminars on breeding french bulldogs before I ever bred our female. Then I started contacting vets in our area that were very familiar with the breed and the breeding process and the delivery. The vets talked about breeding practices, progesterone testing, artifical insemination, surgical insemintaion or natural insemination, and in-depth about c-sections and anesthesia used during their surgeries. Our first litter was 4 little girls weighing less than 5 ounce each. I slept beside their birthing crate for the first 10 days. Every 2 hours I was attaching them to their mom and making sure they were all eating and being cleaned my their mom. I was hooked. This is truly a labor of love! What is one thing most people don’t know about breeding frenchies that they should know? I still sleep beside every litter we have and granted it is getting harder to go on very little sleep as I have aged BUT I won’t have it any other way! To have healthy babies, it is important calorie intact is doubled the last week of her pregnacy right up to when she weans her babies. I weigh the babies daily for the first 2 weeks of their life and supplement formula if needed. Then I can go with weekly weight recording. I am also checking to make sure the siblings are not scratching each other when they are nursing and that they are emptying their bowels and bladder. I am very attached to all these puppies as we have a strong bond from very early on in their life. I have been there every step of the way with them. That is why it is so important to me, that clients that adopt my babies are able to provide the care they need. I want my clients to have done their research about frenchies and not get one just because they are cute! They need to know that they can have reactions to bee stings and what to do in an emergency situation. 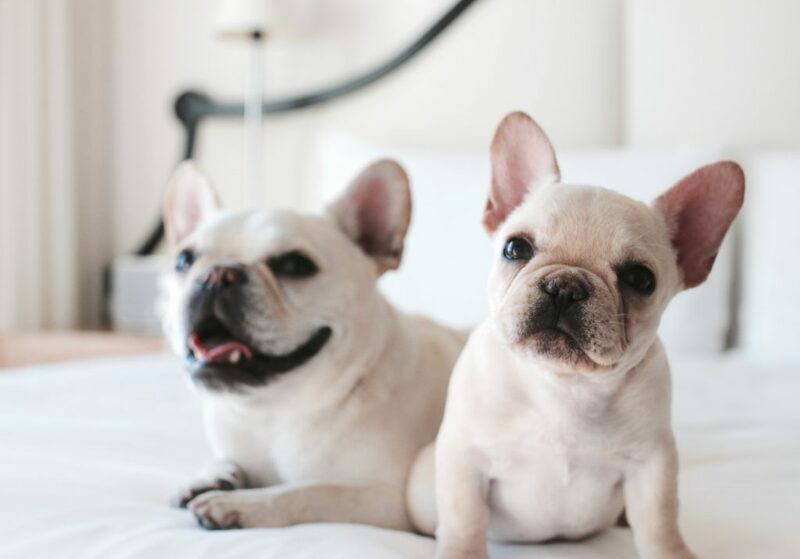 These frenchies are different from a lot of breeds. They can have breathing problems, spine problems, allergies and host of other things. Breeding plays an important part of healthy puppies. Researching bloodlines and colors are important to healthy puppies! I raise only cream and light fawn colors. No particular reason except that is what I started with and that is what I am going to raise. No fad colors will be found in my home. Is there a difference between a boy and girl? Many people ask which gender is the best. Well, I have found the boys to be very affectionate and the girls are too but can have the “take it or leave it” attitude. Speaking of attitude, they can pout when they don’t get their way like a stubborn child. Remember they are bulldogs. It is important that you establish the Alpha in your home when you bring a frenchie in or they will take over and run YOUR home. With that being said your home will never be happier than with a frenchie. 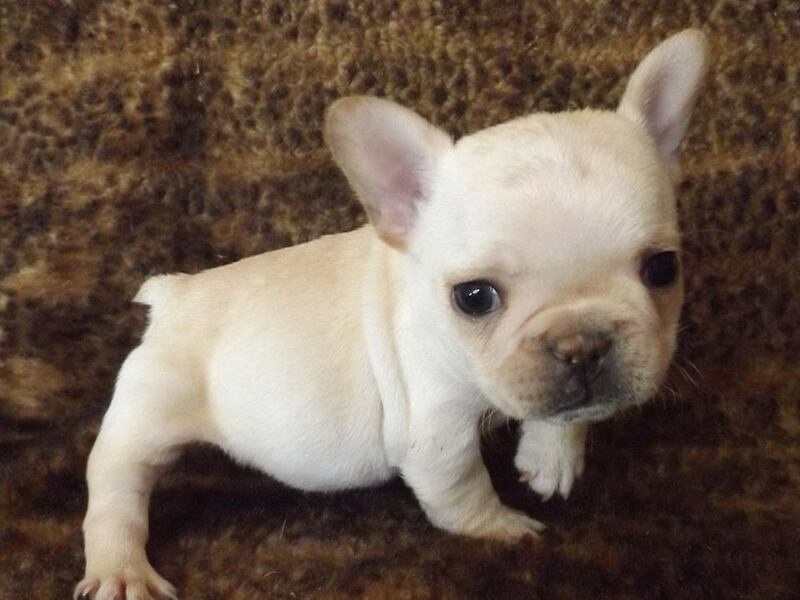 What is your advice for people looking for a reputable french bulldog breeder? Do your research. Talk to people that have frenchies from that breeder. Ask them questions about their health, personality and even ask to speak to breeder’s vets. It is important that you do YOUR research into the breeder. Lower prices is not always the answer. Google the breeder’s name, ask to come to their home, get a feel for the breeder. Trust your instincts. Make sure that the breeder asks YOU questions. 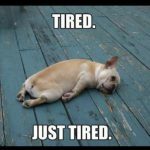 Home, family, your work schedule, yard, walking areas. I love what I have been doing raising frenchies for over 20 years. I think it shows in the quality of frenchies that I raise. They will be well adjusted, healthy and PRE-SPOILED! It is a real labor of love and I wouldn’t trade it for the world. Find out more about Ali and her frenchies at her website. Hello: I loved reading your article. Please help me out with something… I’m desperate. My frenchie is 4 months, we found out he has demodex, it’s all over his body, it’s not responding well to ivermectin, so now the baths are working regularly. He has scratches everywhere a really bad strong smell and basically he is always sleeping and we aren’t enjoying his company. But??? I have been reading and I read demodex it’s really hard to cure and they have episodes forever. Could you tell me honestly what should I expect? Cause I know google can be a weapon too when you read too much. Too bad it appears no one replied. I purchased a male that had severe deomodex and a host of other problems. 5 months later we finally got home healthy and he has been fabulous! My vet recommended Bravecta and wow! immediate and continued improvement – 30 days gone! Pingback: Do You Know What Breed Your Dog Really Is? - Where's The Frenchie? 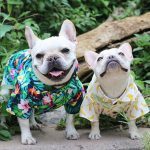 Pingback: The 6 Biggest Surprises Of Owning A French Bulldog - Where's The Frenchie?